Despite the fact that I despise cities, I agreed to participate in a family outing in New Haven, CT. The afternoon of entertainment started with Blue Man Group at the Shubert Theater and ended at Cask Republic. 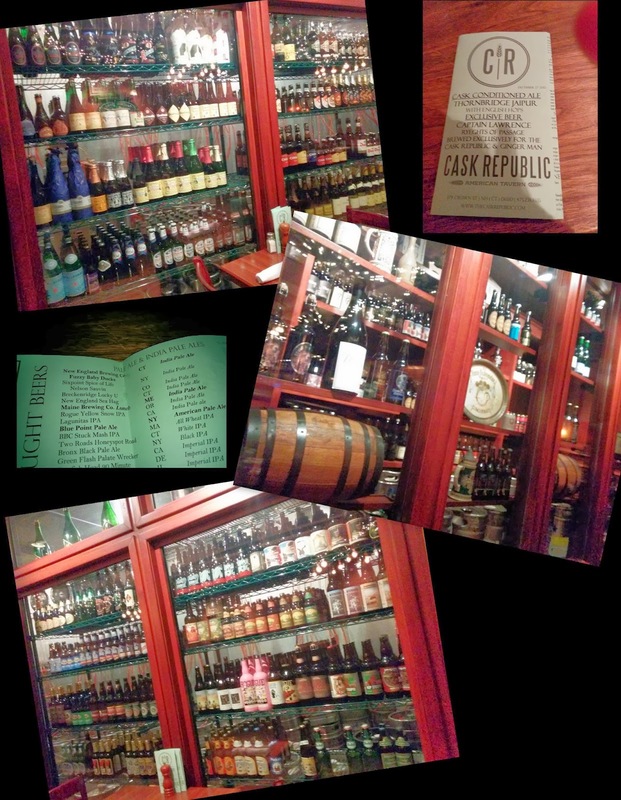 The show was great fun and everyone had a good laugh, but Cask Republic was sensational. If you like beer like I like beer this place is a mecca. They have an impressive variety of beer. There is a beer for every palate and mood. The staff will help you make selections and pair the beer with food from the menu. Our server, Ashley, was not only cute and funny but was knowledgeable about beer. 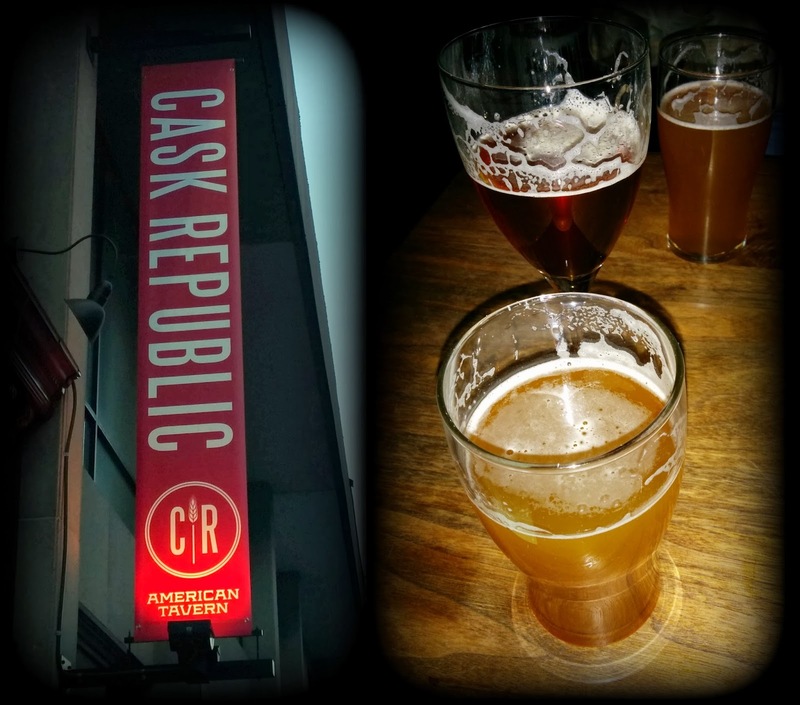 Cask Republic is an all around excellent beer drinking experience. And the food is good, too! After a brief look at the beer menu, there was no doubt in my mind which beer I would start with. Fuzzy Baby Ducks from New England Brewing Company is a beer I hear local beer enthusiasts raving about. Whenever it is released, people are willing to stand in long lines at the brewery to get their share. There was a huge build up in my mind about this beer, so I simply HAD to try it. Read the review here. Timmermans Lambicus Blanche (4.5% ABV) a lambic by Brouwerij Timmermans. Served in a stemmed chalice. It was a pale gold with a small thin head; little lacing. The aroma is citrus, yeast, spice. The taste is big on Belgian funk and lots of citrus. There's a nice earthy quality that mellows out the tartness. Smooth with gentle carbonation. Overall: good. 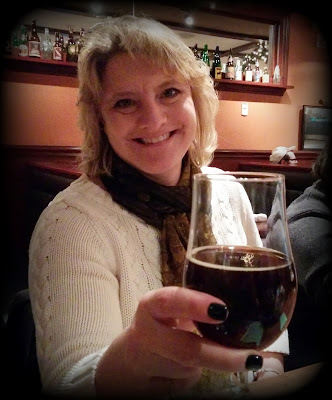 Ryeghts Of Passage (7% ABV) a rye brown ale brewed specifically for Cask Republic by Captain Lawrence Brewing. Served in a fluted pint glass. It is a clear mahogany with an airy head that clings to the glass. The aroma is malty and grainy. The taste is malty and somewhat bready. Rye is a major player but is not overpowering. This is a clean, refreshing brew; very drinkable. Overall: good. Spice of Life: Nelson Sauvin (5.7% ABV) is an American IPA by Sixpoint Brewery. Served in a fluted pint glass. It is a hazy golden yellow with a dense head, nice lacing. The aroma is bright hops and juicy fruits. The taste is a nice layer of hops over a solid malt backbone. Citrus and resin dominate but a bready, sweet maltiness provides balance. Medium and crisp. Enjoyably quaffable. Overall: good. Stone Smoked Porter with Vanilla Bean (5.9% ABV) by Stone Brewing. Served in a stemmed chalice. It is dark as night with a dense foam that leaves excellent lacing. The name says it all in aroma and flavor. Smokey with a solid vanilla presence. Mildly sweet, roasty. Flavorful and easy drinking. A good tasty porter. Overall: good.